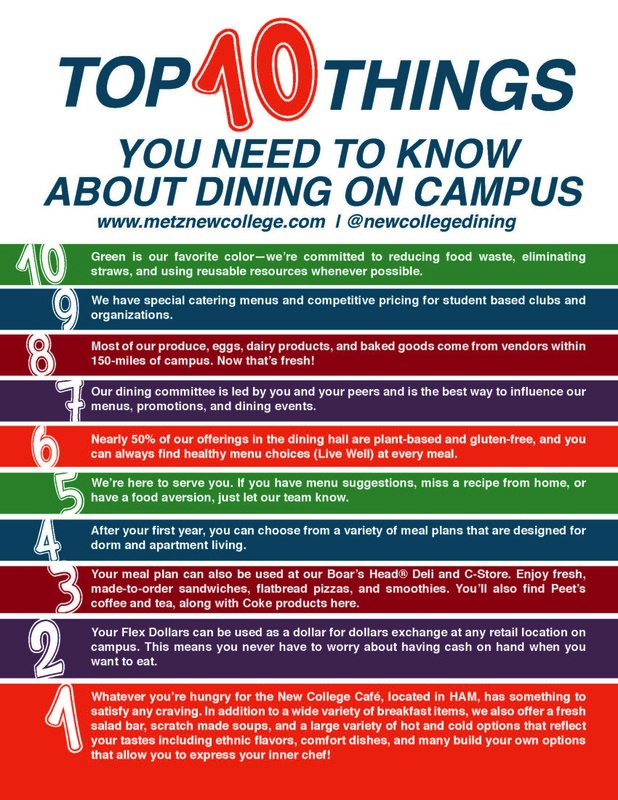 A tip from Metz: ​By purchasing the GOLD plan is assuring you have enough money throughout the semester to enjoy dining in our new, updated dining facilities. By purchasing enough in your initial plan, you receive the benefit of it being tax-free, giving you greater buying power. Additional flex dollars can be purchased throughout the semester. There is no daily limit on how much students can spend. These prices are averaged out over 143 open school days for the fall term and 110 days for the spring term. All students are required to be on the meal plan. Students are free to purchase additional dining dollars as needed. Adding meal dollars can be done by calling the business office at 941-487-4625. All first years and transfers are required to purchase the PEI-B Dorm plan.